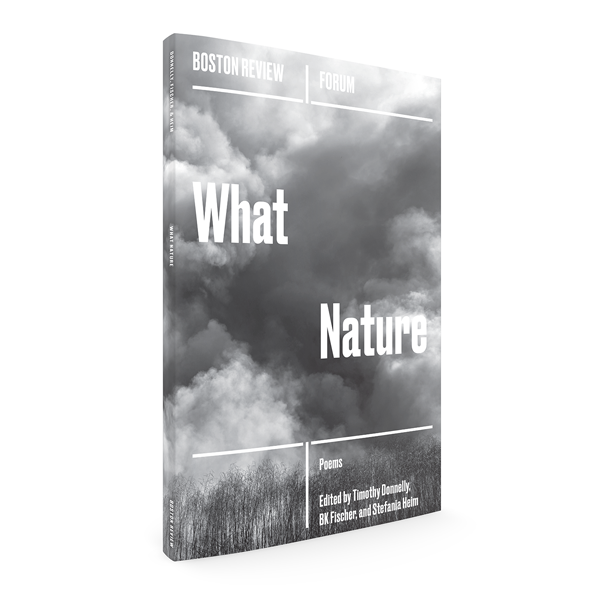 In an age of record-breaking superstorms and environmental degradation, this collection of poetry seeks to make sense of how we interact with and are influenced by nature. But the poems in What Nature were not written on Walden Pond. If they are a far cry from last century's nature poetry, it is because "nature" today is a far cry from sanctuary or retreat. Contributors include Kaveh Akbar, Zaina Alsous, Rae Armantrout, Aase Berg, Jericho Brown, Kayleb Rae Candrilli, Abigail Chabitnoy, Camille T. Dungy, Tracy Fuad, Brenda Hillman, Nam Le, Iréne Mathieu, Kathy Nilsson, Elsbeth Pancrazi, Rowan Ricardo Phillips, Roger Reeves, Mutsuo Takahashi, Brian Tierney, Alissa Valles, Nicole Walker, and more.